See the recently added Homes for Sale! 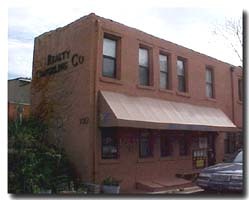 Realty Counseling Co., founded in November 1978 and incorporated in October 1989, is a full service real estate firm specializing in sales, rentals and property management. Some of the services we offer are commercial and residential sales and rentals, appraisals, real estate investment counseling, home warranties and an extensive national referral system through HMS REFNET, the largest referral network in the U.S.A. While we offer homes and rentals in all parts of the Greater Pittsburgh Area, our office, located on the South Side, is particularly well suited to provide student housing for Duquesne University, the University of Pittsburgh, and Carnegie Mellon University. A Gem & Work Of Art. Retail/Office Use & Apartment. 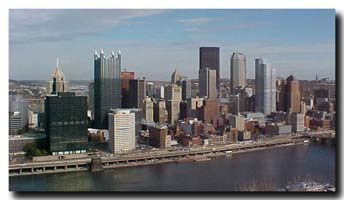 View of the heart of Pittsburgh, Pennsylvania from across the Monongahela River. This site last updated on March 12, 2019.